Steve is one of our favourite comedians, his funny storytelling crammed with brilliant jokes about his geek-ness. He has appeared on “Russell Howard’s Good News” in 2019, and did a brilliant “Love Island Extra” piece where he took one of the boys out on the town and taught him how to meet girls. Basically, he is a proper comedian and you’ll love him. 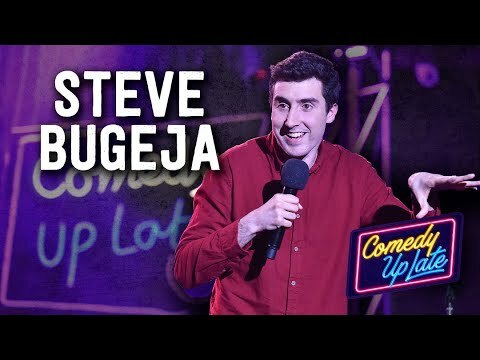 Steve also won the prestigious BBC New Comedian Of The Year in 2013, and in 2009 won “most likely to return as a teacher” at his school leaving assembly. A special award indeed!